Though many think the golden age of air travel is behind us, I think the skies are looking more luxurious than ever thanks to some amazing new first class products from airlines all over the world. I asked TPG Special Contributor Eric Rosen to round up some of the best, along with strategies for finding award space and booking that premium service. Much of the world finally seems to be out of the global recession, and that economic turnaround is becoming more and more evident in premium airline cabins as international carriers compete for high-value flyers. 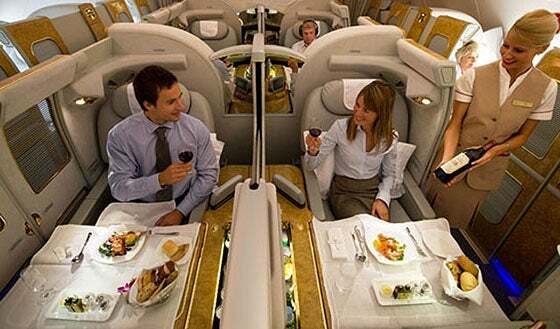 In the past year we’ve seen new first class overhauls and announcements from the likes of Etihad, Emirates, Singapore Airlines and Air France, as well as revamps of both first and business class service by US carriers and their counterparts in Europe and Asia. All in all, it’s an exciting time to fly in the front of the plane. Here are some of the most enticing new products to look for (in alphabetical order), and some ideas for how to book them with points and miles. Air France unveiled its new La Première seat back in May. The new La Première is currently only available on a few 777-300ER aircraft flying from Paris to Singapore and Jakarta, with New York (JFK) flights to begin soon, and plans to install it on all 19 of the airline’s 777-300ER’s. The new La Premiere suite is cordoned off with a curtain. The aircraft will have just 4 of these suites total in a 1 x 2 x 1 configuration. Each seat reclines to a flat bed that is about 78 inches long and 30 inches wide. The bed is made up with a futon mattress, a large pillow, and a Sofitel My Bed duvet. The linens in Air France La Première are by Sofitel. 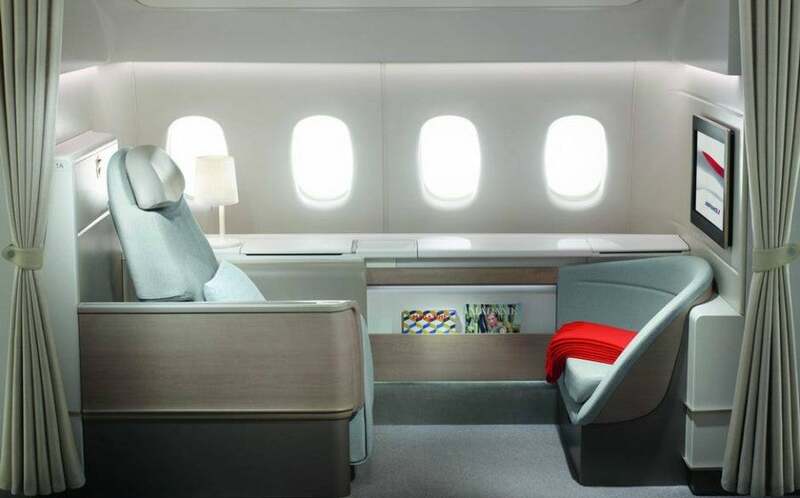 Each seat also has a 24-inch HD monitor for in-flight entertainment, and a menu by a pantheon of Michelin-starred chefs, including Joël Robuchon, Guy Martin and Michel Roth. One of the more interesting features is a curtain that completely encloses each suite for privacy. Now for the bad news. In order even to book these suites, you have to be an elite member of Flying Blue. This wasn’t supposed to be the case per Flying Blue’s program changes (and devaluation) last year, when they claimed to open up these awards to non-elites. However, when you actually try to book these awards as a general Flying Blue member, there’s a message at the bottom of the screen that only Flying Blue Silver, Gold and Platinum members are eligible. 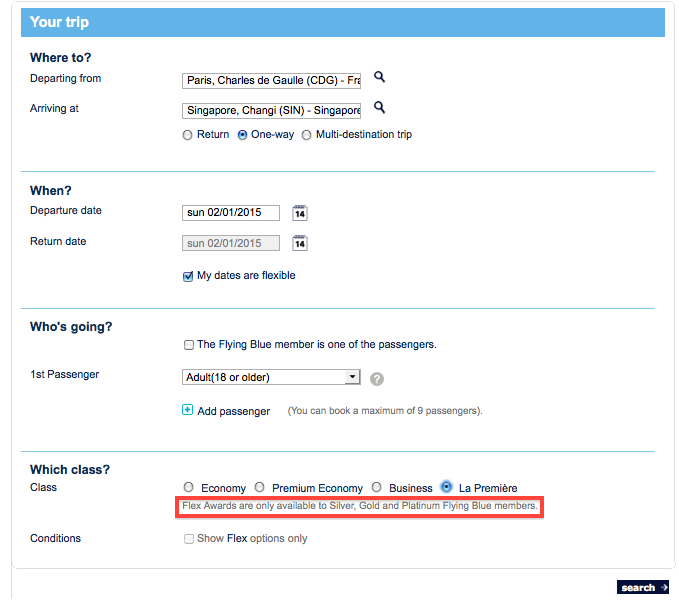 Air France still won’t let you book these premium awards if you’re not a Flying Blue elite. Not only that, but also La Première suites are only available at peak “Flex” award levels, which makes the mileage amounts astronomical. For example, it would cost you 260,000 miles each way to book a La Première award from Paris to Singapore, or 162,500 from Paris to New York each way. That puts these awards out of reach for most flyers. The menus are created by Michelin-starred French chefs. However, if you’ve been racking up millions of Amex Membership Rewards points, you could try status matching to Flying Blue from another airline elite program, and then transferring Membership Rewards points to your Flying Blue account and booking from there. 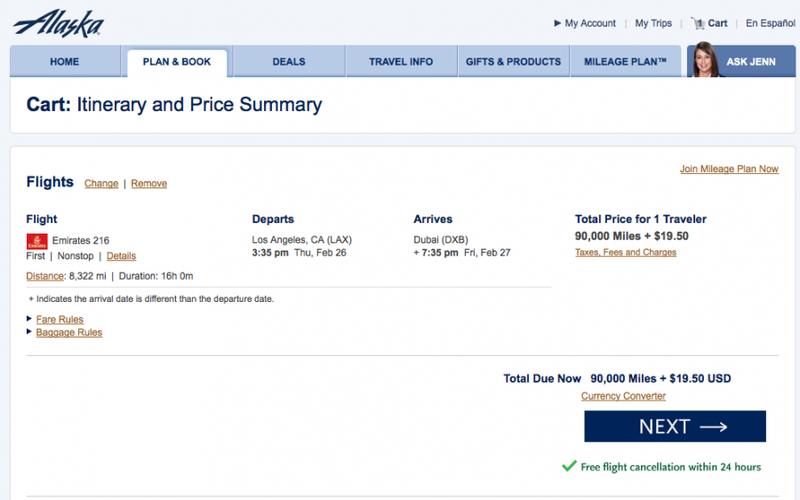 Unfortunately, you cannot use Delta SkyMiles to book first class partner awards. In the past I probably would have included ANA’s suite, but just to make things interesting (and since it’s slightly newer), I thought I’d bring up the first class service on the A380 flown by South Korea-based Asiana Airlines. 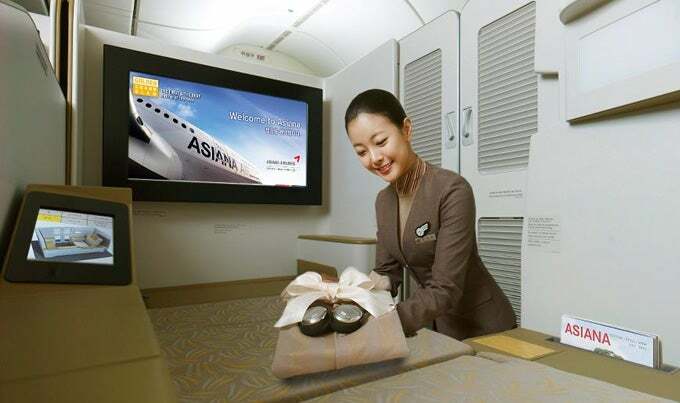 Asiana’s new suites are aboard its A380’s. 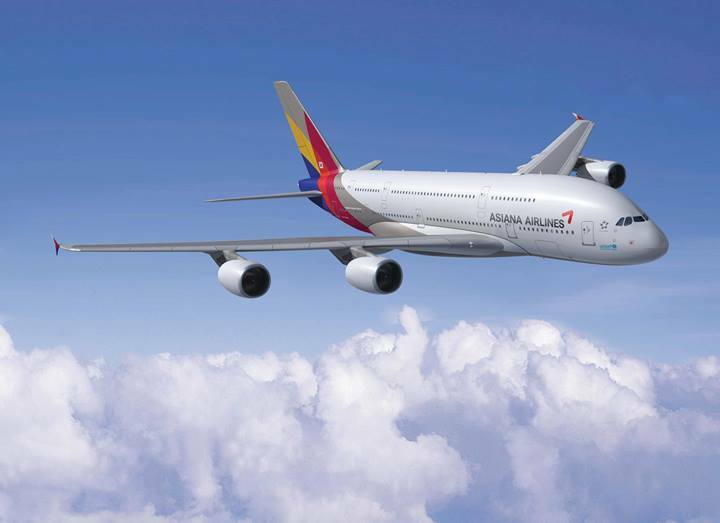 The airline began flying its A380’s in June, and began flying daily Seoul to Los Angeles in August. It has a total of 5 A380’s on order, with one already delivered and 2 more scheduled for delivery in 2015. 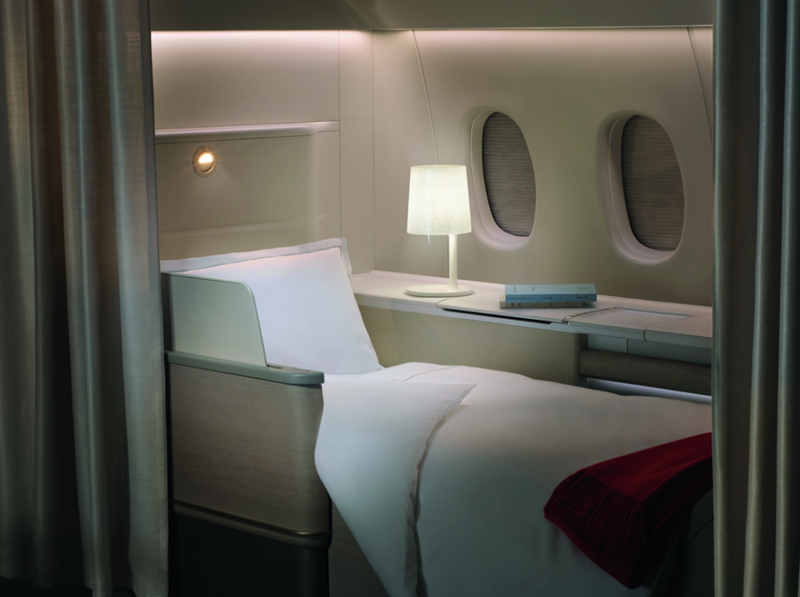 The A380 has just 12 first class suites in three rows of a 1 x 2 x 1 layout. Each suite has 84 inches of pitch and is 25 inches wide. For entertainment, there’s a 32-inch HD video screen. 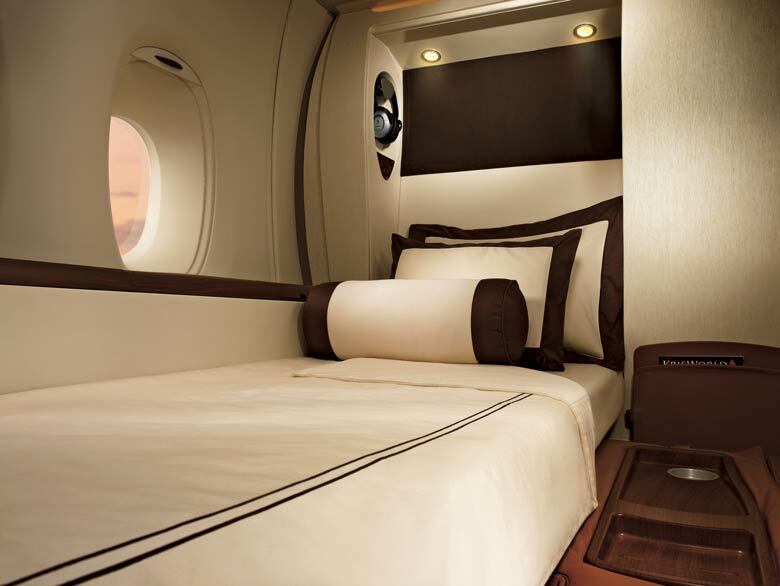 When you’re ready for a snooze, the crew will turn down the seat into an 81-inch bed with a duck-down duvet. While it’s not the most eye-catching first class out there, because it’s on the lower deck of the A380, it is among the most spacious of these cabins. 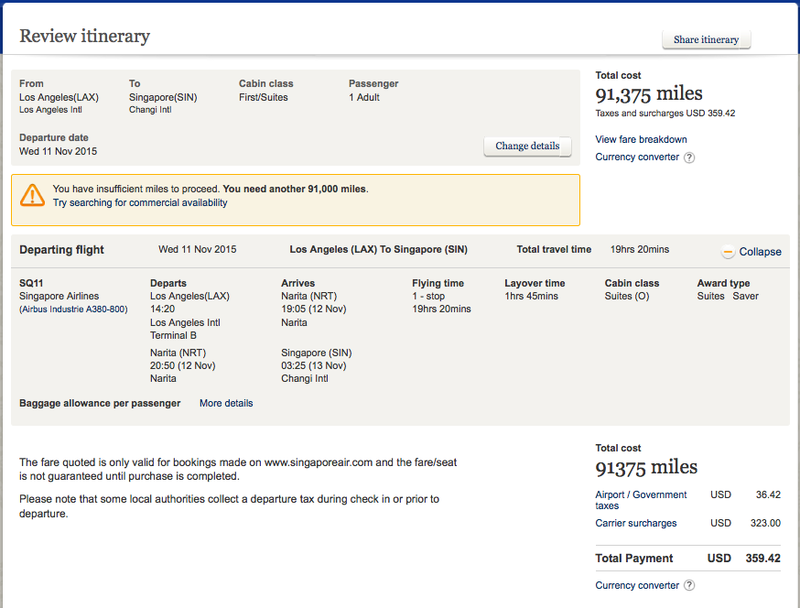 Award availability using United miles is fairly good (if expensive at 120,000 miles each way). Alternately, you could use just 90,000 Avianca Lifemiles each way to book this award. 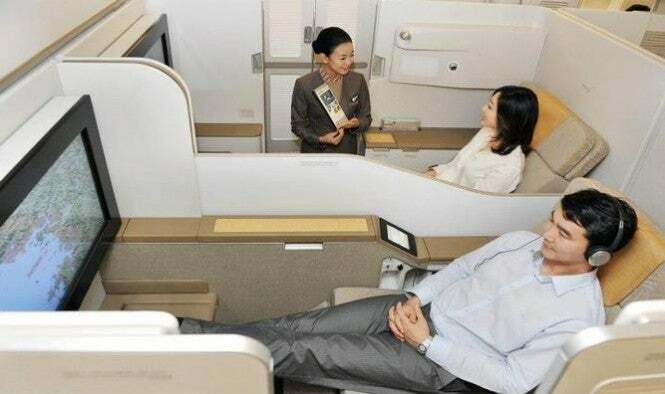 You can use United miles to book an Asiana first class suite, but it’ll cost you 120,000 each way! 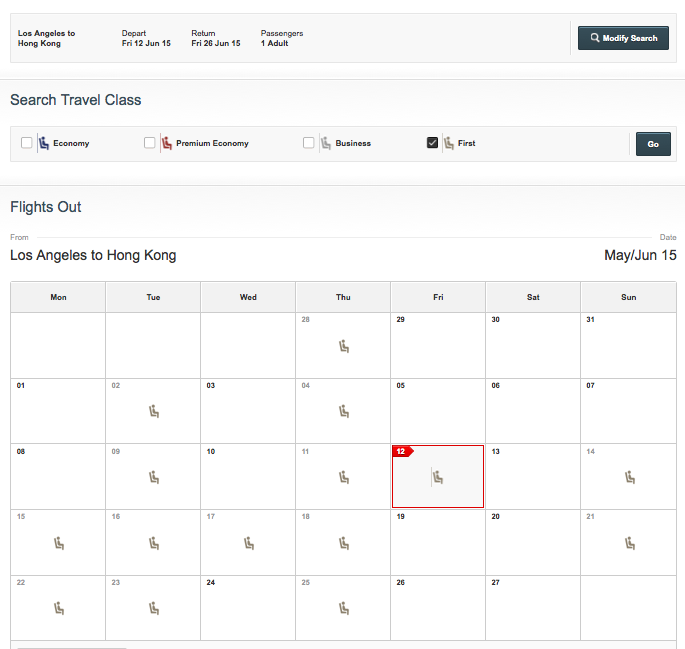 The flexible dates search on Qantas is a good way to find Cathay Pacific first class availability. Once you find space in the calendar, you can focus in on the dates that work for you. 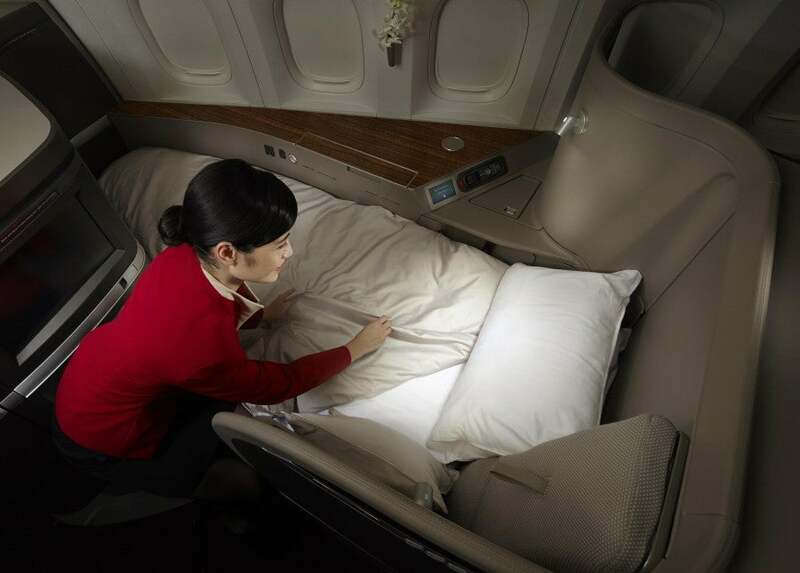 Cathay’s first class varies depending on the aircraft. For now I’ll focus on the airline’s flagship 777-300ER, which has just 6 seats in 2 rows in a 1 x 1 x 1 configuration. In terms of miles, you have a few options that depend on where you fly from. American will charge you 67,500 miles each way in first class from North America to Asia 2 (including Hong Kong), while US Airways will charge you 120,000 round-trip (so 60,000 each way, but you cannot book one-way awards). If you plan to fly a round-trip or take advantage of US Airways’ routing rules, then this is the better option. But if you’re just looking to book a one-way, AAdvantage miles are the way to go. You could also use British Airways Avios, but it would cost you 105,000 miles each way from Los Angeles to Hong Kong—a 68% premium over US Airways. Cathay Pacific first class seats are enormous. The reason these seats are so great is that they’re enormous. 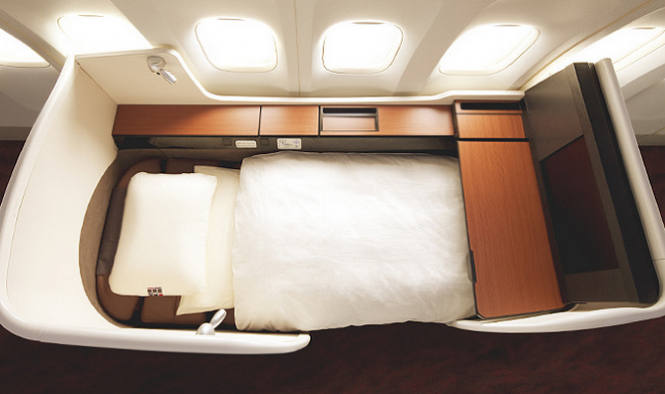 Whereas other first class cabins squeeze in four seats across, there are just three here because they’re a whopping 36 inches wide and 81 inches long, and fully transform into beds. While the menu options are not as storied as on some other airlines, meals tend to start with a salmon and caviar appetizer, and passengers can console themselves with Krug and a 17-inch personal in-flight entertainment screen. Cathay Pacific’s first class seats are enormous! The Ermenegildo Zegna amenity kits are stocked with Aesop products, and it’s a quick change into 100% organic Pye pajamas from Hong Kong to snuggle up in when you’re ready for bed. Emirates operates its famous First Class Suites (which TPG flew from Dubai to JFK last year) aboard its A380’s, with just 14 of these beauties aboard each plane in a staggered 1 x 2 x 1 configuration. Each Suite’s seat has 86 inches of pitch and reclines to a bed 78 inches long and 23 inches wide, with a sliding door for privacy. Each suite has a wall-mounted big-screen TV (showing up to 1,200 on-demand video and audio channels), a personal mini-bar, and privacy doors. The Dine-on-Demand meal service allows you to order from an a la carte menu any time you want. There’s also a First Class Social Area or onboard lounge, where you can enjoy cocktails and appetizers with fellow passengers. These Suites are tricked out with huge TV’s and private minibars. The standout perk, however, is the onboard Shower Spas packed with Timeless Spa products. The A380 flies over 30 different routes around the world, including Dubai to Los Angeles, New York, London and Sydney, and can you see the full schedule here. The airline is not in any alliance, but it is a transfer partner of Amex Membership Rewards if you have a premium card like the EveryDay Preferred, Premier Rewards Gold or Platinum cards, and Amex has run transfer bonuses in the past. Emirates is also partners with Alaska Airlines, which is probably the easiest way to book a flight, since you can search Emirates award availability on Alaska’s site. 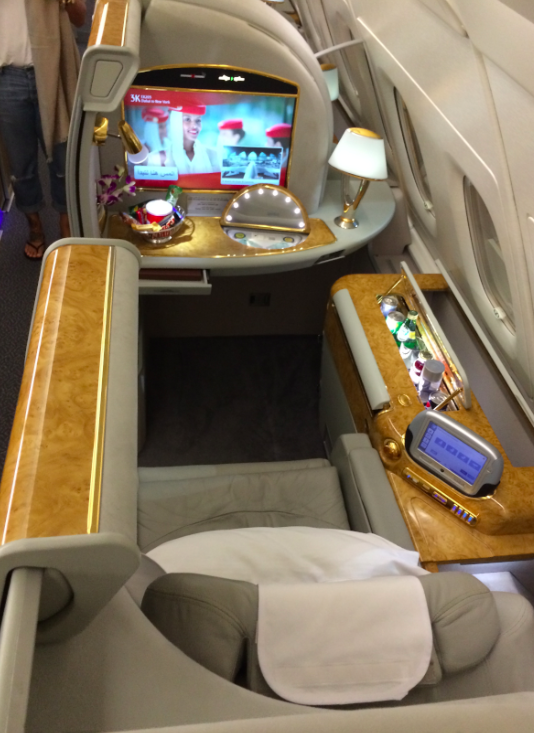 A sample Emirates first class award from LAX-Dubai in February, bookable on Alaska’s website. Alaska charges 90,000 miles each way from North America to the Middle East on Emirates, and there’s actually a decent amount of availability, including this flight from Los Angeles to Dubai in February. 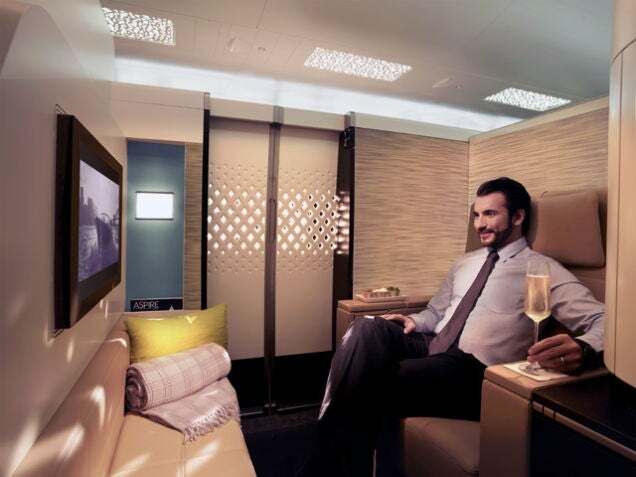 Back in May, Etihad practically revolutionized international first class travel with the unveiling of its new “Residence Class Suite” aboard its new A380’s. The first A380 should start operating on the route from Abu Dhabi to London by the end of this month, with two more daily flights on that route by May 1, 2015, and a second route to Sydney launching in June 2015. Etihad’s Residence Suites will be like nothing you’ve ever seen before. The Residence on the A380 is actually a three-room, 125-square-foot suite with a living room featuring a 32-inch flatscreen, a separate bedroom with its own 27-inch flatscreen, and an ensuite shower. It’s designed for up to two guests. Passengers will be served by Savoy-trained butlers and enjoy meals prepared personally by an in-flight chef. The First Apartment is a private suite with a full-length bed (80.5 inches long and 26 inches wide) and separate reclining seat, as well as a minibar, personal vanity, and wardrobe. 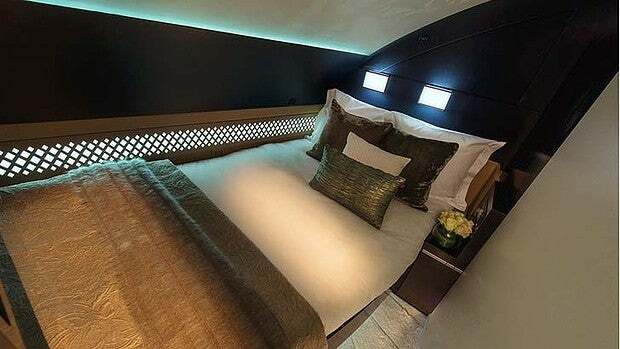 The B787 version is a First Suite with a large seat and ottoman that convert into an 80.5-inch lie-flat bed. 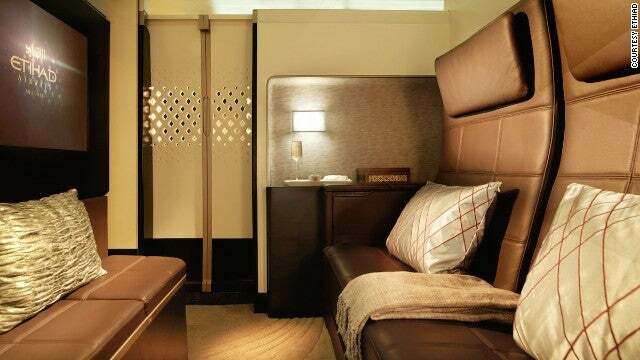 Etihad’s new Residence Suites even have separate bedrooms. For now, it looks like the First Apartments and Residences are actually selling out for about $40,000 round-trip, so awards are hard to come by, though you can pay cash or use Etihad miles (but not partner miles, it seems) to book them. 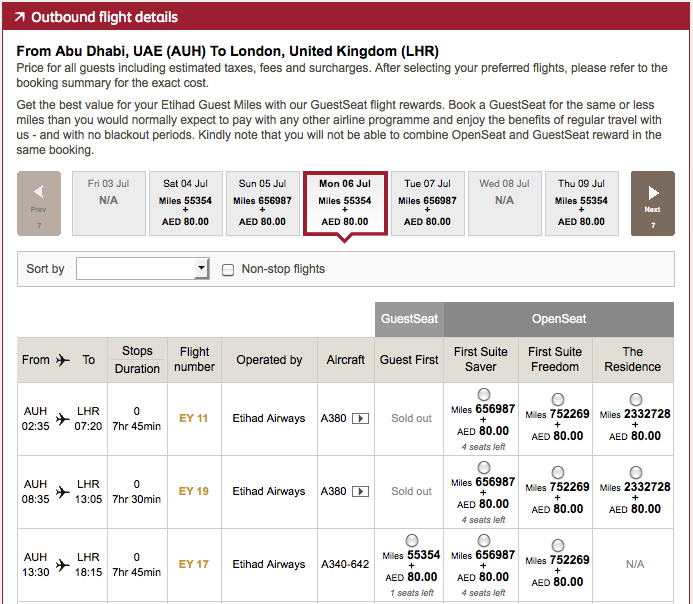 As you can see from these example awards below, it’ll cost you about 2.33 million Etihad miles to book the Residence just one-way from Abu Dhabi to London. 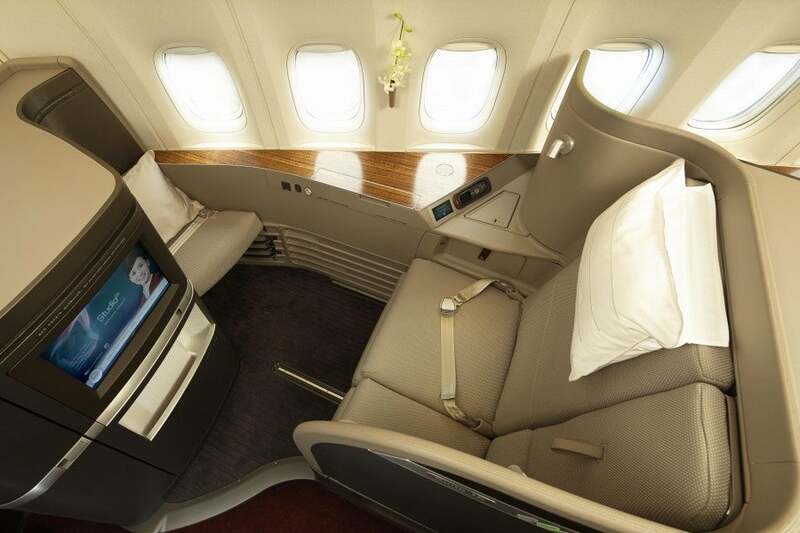 A First Suite Saver award is about 657,000 miles, while a regular first class seat aboard one of the airline’s A340’s is just 55,354 miles each way. So it costs you 42 times as many miles to book a Residence! You’ll just need 2.3 million miles to book one of these…each way! Citi ThankYou Rewards also recently added Etihad Guest Programme as a 1:1 transfer partner, so if you’ve been racking up ThankYou points, you could always try using them to book an award. Or, as TPG pointed out, you could always try using fixed-value points like Barclaycard Arrival Miles (1.8 million), Chase Ultimate Rewards or Amex Membership Rewards points (1.6 million), or Capital One Venture miles (2 million) for the $20,000 one-way fare. While the JAL Suite (not to be confused with its new “Sky Suite” business class) aboard its 13 777-300ER aircraft might not be the flashiest first class suite out there, what it lacks in flare it makes up for in simplicity, elegance and functionality, not to mention top-notch service. 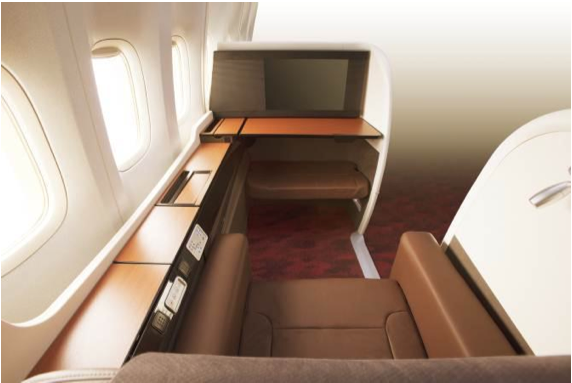 JAL’s new first class suites are as serene as a Japanese forest. The service will be available on the airline’s routes from Tokyo Haneda to London, Paris and San Francisco, and from Narita to New York, Los Angeles, Chicago, Jakarta and Sydney aboard the 777. You can see all the routes and timing of rollout here. These seats are in two rows in a 1 x 2 x 1 configuration. They recline to 78.5 inches and are 33 inches wide, and decorated with chocolate-brown leather seats and a wood-grained interior for a feeling of tranquility. The middle two seats have a retractable privacy partition, and each seat has its own 23-inch flatscreen monitor for entertainment. Flyers have a choice of Japanese and Western menus produced by a “dream team” of Japanese chefs, including Seiji Yamamoto and Chikara Yamada. And hey, there are even signature Toto toilets with warm-washing cycles in the first and business class lavatories. 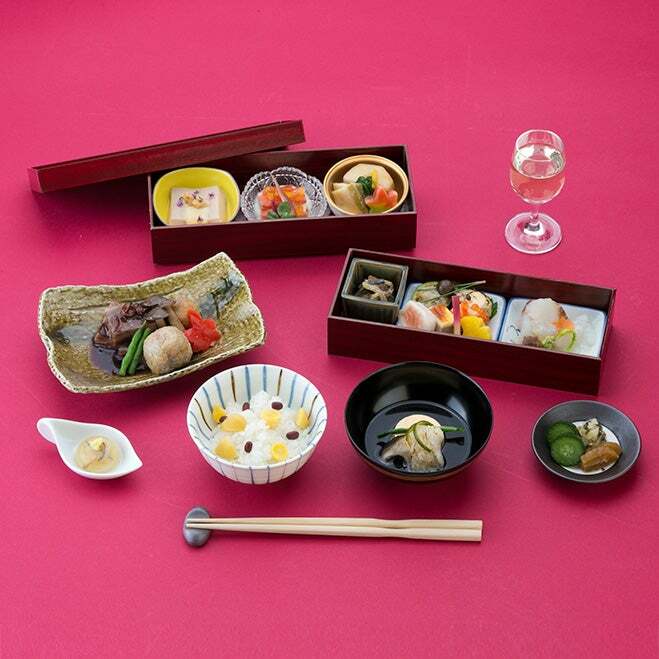 Sample Japanese menu items from JAL first class. TPG recently booked his own first class award in JAL’s first class using American miles. It cost him just 62,500 miles one-way. 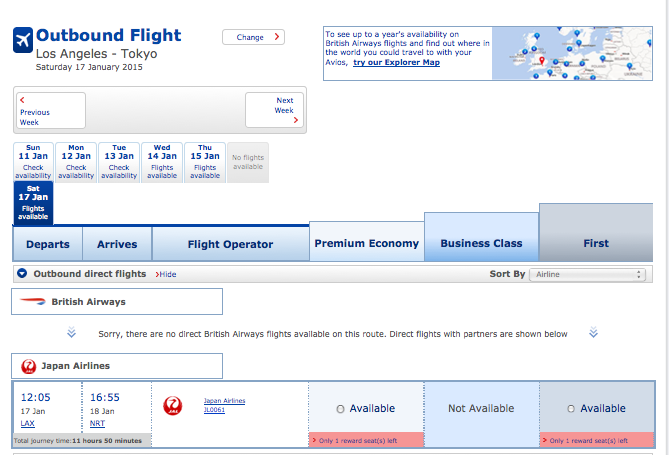 If you’re booking a round-trip award, try BritishAirways.com or Qantas.com.au to search for award availability, as shown below. 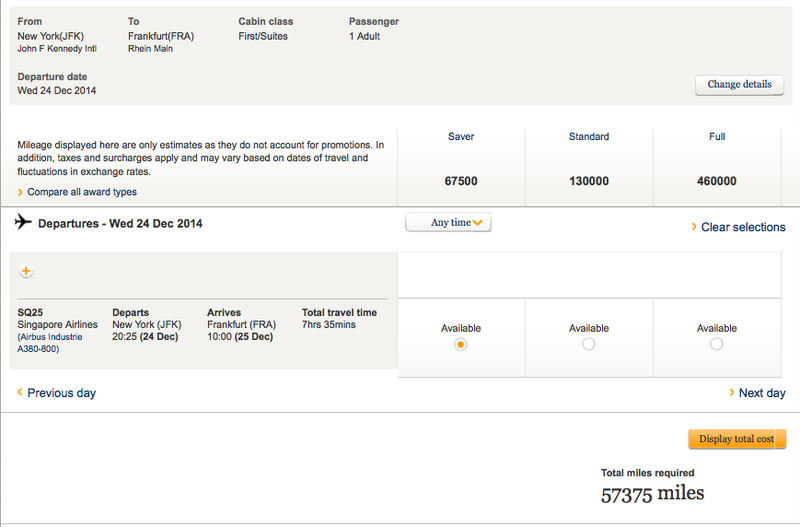 You can then book the award using AA miles (or US Airways miles now that it’s a member of Oneworld). British Airways would charge you 75,000 Avios each way from the West Coast, or 105,000 Avios from New York (which would only require transferring 54,000 or 75,000 Amex Membership Rewards points respectively during the current 40% Amex transfer bonus to BA). Lufthansa’s first class service is among the best out there. 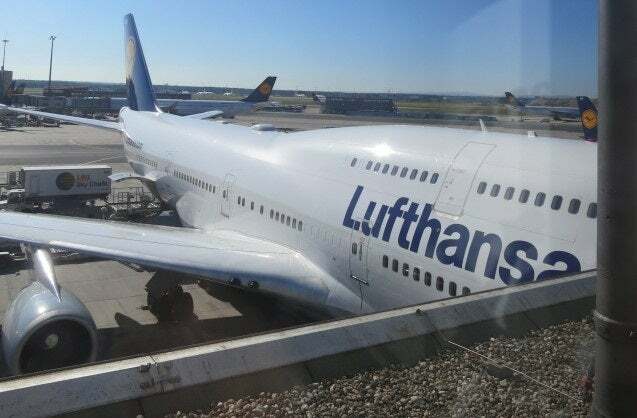 Though Lufthansa ostensibly has newer first class seats aboard its A330, A380, and 747-8 aircraft, it’s this slightly older version with a separate bed and seat that is the twinkle in the eye of many frequent flyers. That’s because there are just 8 of these extraordinary seats in four rows of 2 seats each on the upper deck of the 747-400. This plane is disappearing quickly from flight rosters all over the world due to newer, more efficient models, which means you might not have much longer to fly them. You can currently find them on US routes to New York (JFK), Boston and Denver, though schedules change all the time. 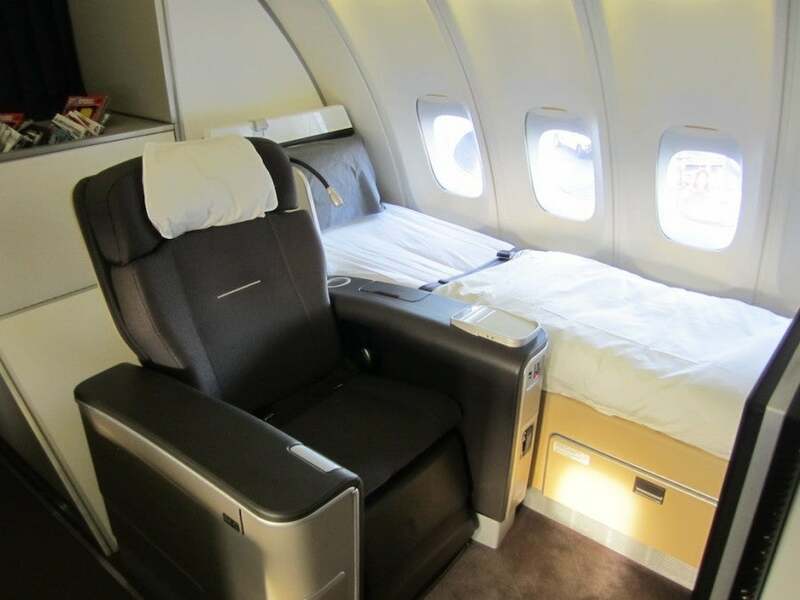 Lufthansa’s first class seat is both a seat and a separate bed. These seats are among the largest in the skies, with 90 inches of pitch and 21 inches of width, and a bed that reclines to 79.1 inches. Each has a 17-inch entertainment screen. Meal service includes champagne and a signature caviar course. You can read a full review of it here. Lufthansa’s own Miles & More program requires 170,000 miles round-trip for this redemption, though fuel surcharges can top $1,000 on a premium ticket. Since United’s award chart devaluation, the cost of redeeming for these seats has gone up to 110,000 miles each way, and they’re usually only available at the last minute for partner redemptions, but it could still be worthwhile, especially if you can score a seat on one of the longer routes (like those from San Francisco or Denver). Flying Denver-Frankfurt might be worth the 110,000 miles. United is also a 1:1 transfer partner of Chase Ultimate Rewards, so if you’ve been hoarding those points, this could be a good way to use them. 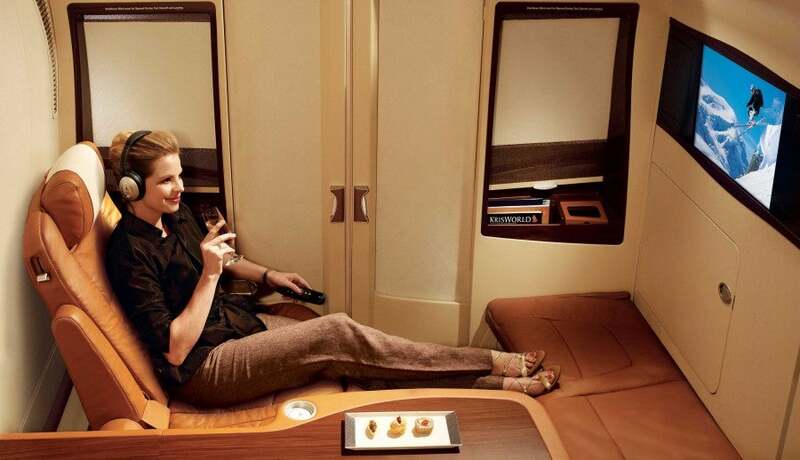 Singapore’s Suites are aboard its A380 aircraft. 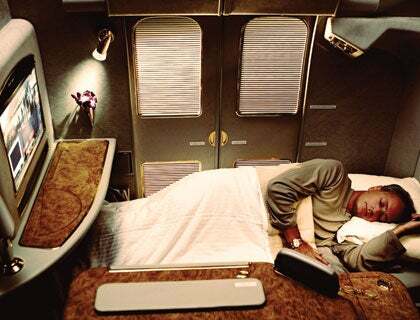 Singapore Airlines’ First Class Suites were among the first suite-style first-class seats in the skies. They were launched aboard the airline’s A380’s back in 2012, and have remained some of most sought after award seats out there. Each A380 has just 12 suites in three rows of a 1 x 2 x 1 configuration, with the middle two seats being combinable into one larger suite if two people are traveling together. They were designed by French yacht designer Jean-Jacques Costes. The seats were designed by a French yacht designer. Each Suite has a Cognac-colored Italian leather seat and its own closing sliding door with curtains for privacy, a 23-inch entertainment screen, and a power panel with universal adapters. It’s up to 35 inches wide when the armrest is down, and can recline up to 130 degrees. The crew turns it down for passengers into a lie-flat 81-inch bed dressed in Givenchy linens (like the first class pajamas) with a full duvet. Turndown service includes Givenchy linens. First class passengers can pre-order any of 60 dishes created by the airline’s celebrity chef “Culinary Panel,” while the wine list contains some heavy hitters from Burgundy and Bordeaux, as well as Krug and Dom Pérignon. Singapore only releases First Class Suite awards to its own Krisflyer members, so you have to be using these miles to book them. The good news is that Krisflyer recently became a 1:1 transfer partner of Chase Ultimate Rewards and Citi ThankYou Rewards, in addition to already being a transfer partner of Amex Membership Rewards and Starwood Preferred Guest. So even if you’ve never flown Singapore Airlines or accrued even a single Krisflyer mile, there are a lot of ways to get miles into your account. 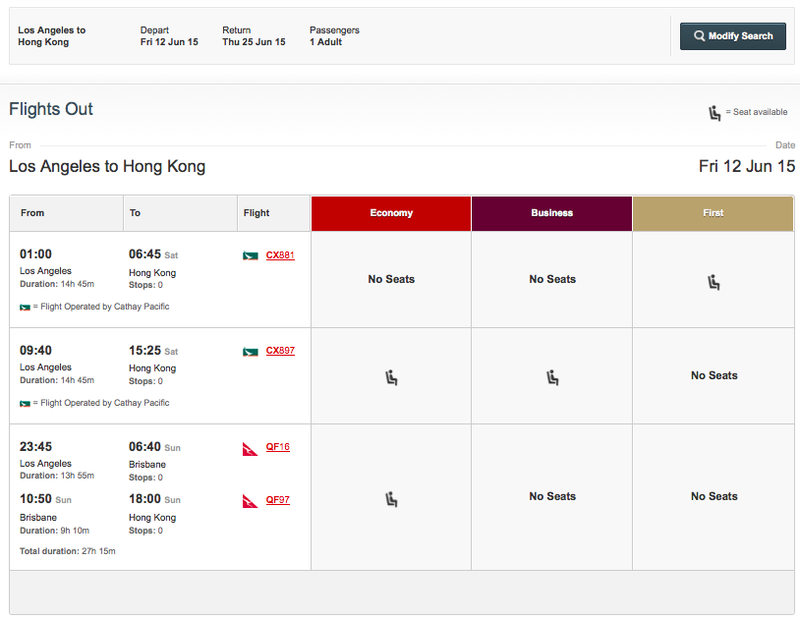 Plus, if you book a Singapore Airline award online through Krisflyer, you get a 15% mileage discount. 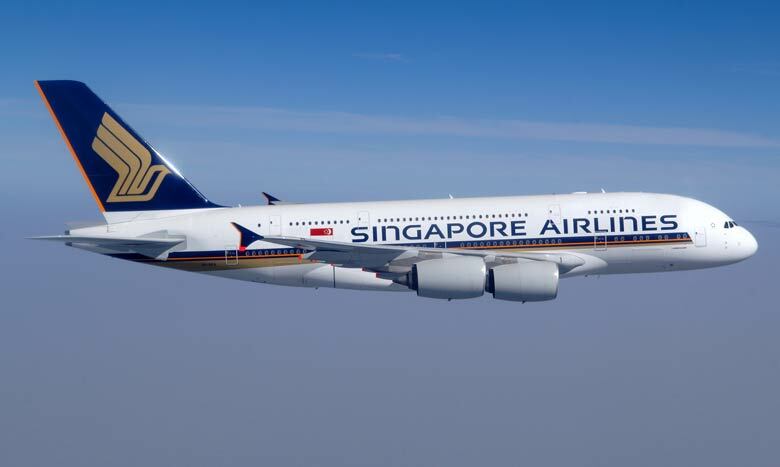 Singapore currently operates 19 A380’s on routes from Singapore to hubs like Frankfurt, Beijing, London, Paris, Sydney, Tokyo and Zurich, as well as from New York to Frankfurt and Tokyo to Los Angeles. A sample Singapore First Class Suite award from New York to Frankfurt for just 57,375 miles each way. And this one all the way through from Los Angeles to Singapore via Tokyo. Nearly 20 hours in the lap of luxury for just 91,375 miles! 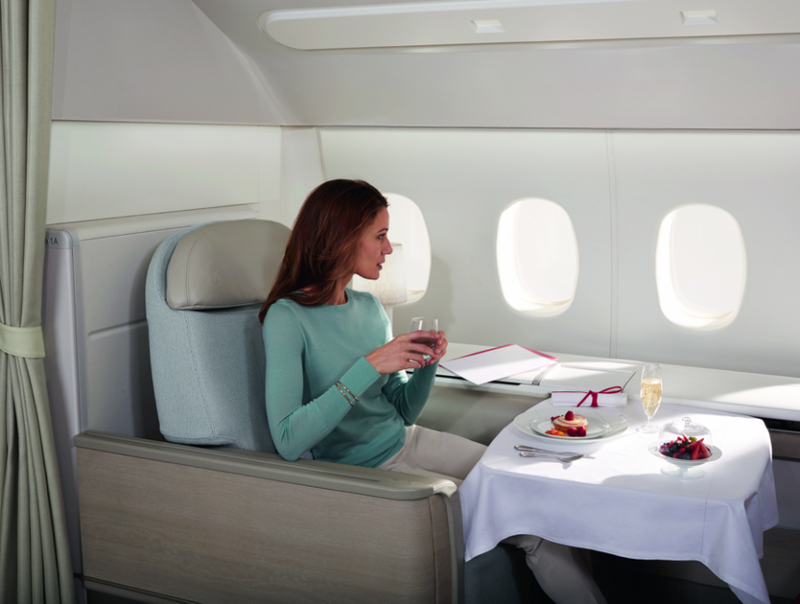 What other first class cabins are you dying to fly? Share your thoughts in the comments below!